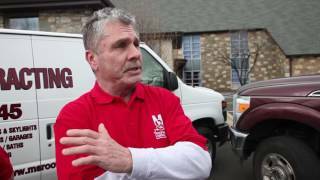 There is a simple way to ensure that your roofing experience is one you can brag about to friends and family. Call M&S Roofing and Contracting now! We'll schedule your appointment, then come out to your home or office and have a look at your project. Shortly after, we will submit a complete plan for your job, along with all of the details so that you know exactly what to expect. 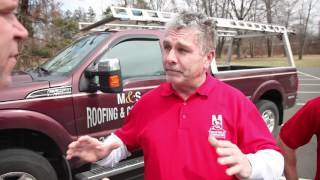 M&S Roofing and contracting has been serving Holland, PA for more than 30 years, and during that time we have seen just about everything. We know how to take of your roof, siding and more to ensure that your home or office is more secure, more efficient and protects your family from the elements. 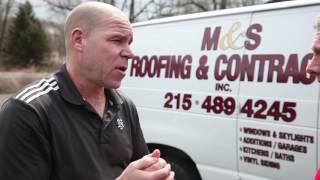 M&S Roofing and Contracting does not cut corners on any project, and you will see the quality of our installations with the beauty and longevity of your new roof system. When you call M&S Roofing and Contracting, we will meet you at your home in Holland to discuss your project and gather measurements and details. Once we have all of the information we need, we will put together a quote and explain all of the details of your project. You'll have plenty of time to look over the quote and make a decision. Once you have signed your contract we will schedule your upcoming project at a time that does not interfere with your schedule, and let you know exactly what to expect while we are working. As every project is different, call us today to discuss your needs. We look forward to hearing from you!